Nashville, TN (February 20, 2012) -- The Roys' musical voyage continues as they enjoy a hot, new single; several high-profile performances and multiple TV and radio opportunities keep the spotlight focused on the popular, award-winning Bluegrass brother/sister duo. The siblings recently returned from dates in Australia and Canada to find that their hot new single, Trailblazer, hit the Top 10 on the Bluegrass Today Weekly chart during their absence. Fans can enjoy the video by clicking HERE. The duo is featured in the upcoming PBS Television show, Music Voyager: Tennessee, which premieres worldwide on February 24. The episode is part of the Music Voyager international music and travel series, and takes viewers to various destinations around the world. Lee and Elaine appear in EPISODE 1, Eastern Tennessee: Cradle of Country Music. Host Jacob Edgar caught up with The Roys at the Ernest Tubb Record Shop where they chatted aboard Tubb's touring bus and performed their previous hit single, Coal Minin' Man. That track rocketed up the Bluegrass charts, landing at #1 on Power Source's Bluegrass Top 35 Chart, #1 on HotDisc International Top 40 Chart, #3 on Bluegrass Unlimited's National Bluegrass Survey and #4 on Bluegrass Music Profiles' Top 30 Hot Singles Chart. Coal Minin' Man (SPBGMA-nominated Song of the Year 2011) and Trailblazer are both from The Roys' critically-acclaimed Rural Rhythm Records' disc, LONESOME WHISTLE, one of BILLBOARD'S Top 50 Bluegrass Albums of 2011. Music Voyager: Tennessee, put together in part by the support of the Tennessee Dept. of Tourist Development, will make its way into 170 million homes in 140 countries and broadcast in 33 languages, upping The Roys' exposure exponentially. To learn more about the popular series, go to musicvoyager.com. Additionally, Country Music USA Radio Network will air an exclusive interview with Lee and Elaine this week. The show is Europe's most-listened to syndicated Country FM radio program, reaching 10 million listeners in 74 countries and territories around the world, including: France, Belgium, Switzerland, Luxembourg, Monaco, West Indies, Mayotte and Reunion Island. The show streams live and will be archived for 30 days at http://spotfm.free.fr. 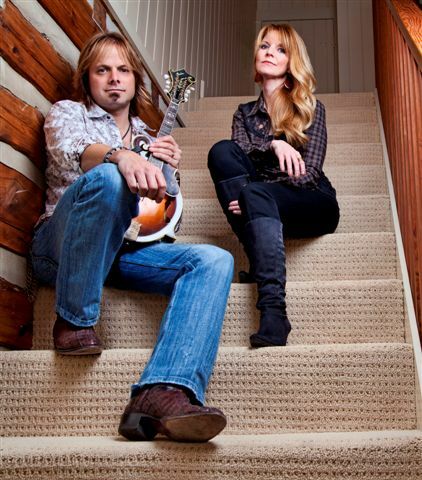 Catch up with Lee and Elaine at www.theroysonline.com .